Right C3 is excited to announce that the Third Prize winner of our Senior Survey Scholarship Contest is Christ’ian Wallace! Christ’ian, a graduating senior from Atoka, TN, will be receiving our $1,000 scholarship. Christ’ian told Right C3 that he plans to attend the University of Tennessee, Knoxville this fall, where he will major in Biomedical Engineering. He also plans to follow a Pre-Dental course of study because he is interested in both Engineering and Orthodontics. Christ’ian said that he enjoys hands-on work and wants a career where he can help others. One of the ways he said Right C3 helped him was with his career choice. Christ’ian has always loved drawing and was previously interested in studying Architecture. After working with the Right C3 coaches, he realized that Engineering better fit his passion for technology and pushing the envelope with new technological innovations. Christ’ian’s career plans were also inspired by his mother, who earned her Nursing degree from University of Florida. He told us that his interest in medicine started with hearing from his mother about her medical classes and her work. He is excited about the medical classes he will take at UTK, as well as the engineering program. In fact, learning more about the engineering program was Christ’ian’s favorite part of the two visits he made to UTK’s campus. He took a day trip there and also stayed for an overnight visit on another occasion. Christ’ian applied to four colleges, but what made him ultimately choose UTK was the environment on campus and the closeness to home. He said that the fact that they have the courses he needs for his career interests was also a determining factor. Christ’ian plans to live on campus and get involved in UTK’s Ambassadors program, which will allow him to teach younger kids about the college and its programs. Christ’ian said that he was able to find UTK and know what to look for thanks to the advice he received from the Right C3 coaches. He told us in his survey that he had been receiving help from the coaches since 9th grade and that the C3 coaches were especially helpful when he decided to graduate early and needed help making a new plan. He said that he also found C3’s advice on test-taking strategies helpful and that he really enjoyed the personal attention he received from coaches over the phone. He told us that when speaking to a coach on the phone, he felt like they were right beside him. In high school, Christ’ian participated in the Engineering Club, where he got to build robots and even helped design a condiment dispenser for stadiums that ended up being approved and used! He also participated in Project Lead the Way, which gave him opportunities such as visiting Lockheed Martin. Project Lead the Way also gave him an award for Most Likely to Become an Engineer, and he believes this is the accomplishment his parents are most proud of. 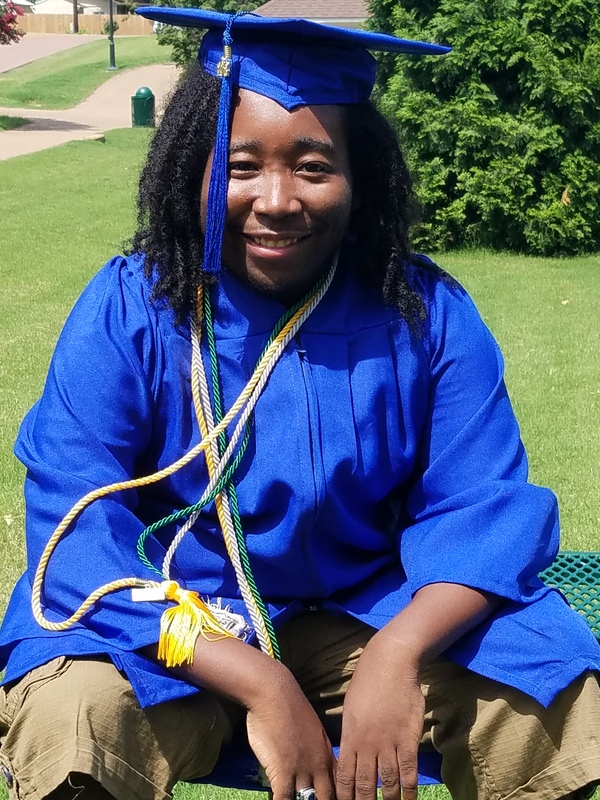 Christ’ian told us that the best advice he could give a student preparing for college is the advice he received from his mother: “You’ll know when you’re ready.” He said that he feels he is ready for college now, and the Right C3 coaches agree. Great job, Christ’ian and best wishes in college and beyond!